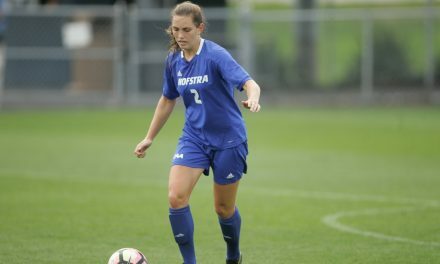 HEMPSTEAD, N.Y. – The Hofstra University women continue a five-match road trip with games at Fairleigh Dickinson Thursday night and No. 23 Princeton Sunday night. Hofstra (3-2) is coming off a 5-1 loss at No. 6 Virginia this past Sunday. Jenn Buoncore leads the Pride offense with two goals and two assists while five other players have tallied one goal each. Jordan Littleboy and Monique Iannella each have two assists to lead the Pride. FDU (2-4) snapped a four-game losing streak Sunday. Hofstra owns a 5-0-1 record against the Knights. The teams last met in 2016 with the Pride pulling out a 2-1 win in extratime. The Tigers slipped in the rankings from 14 to 23 after a loss to No. 13 North Carolina State this past Sunday. Princeton (3-1) will host Rider Thursday night. Hofstra and Princeton have met four times with Hofstra holding a 3-1 advantage in the series. The teams last met in 2010 with the Pride posting a 1-0 win. Both games will feature live statistics and the Fairleigh Dickinson game will be available to stream on NEC Front Row. The Princeton game will air on ESPN+ (subscription required). Links for live statistics and live streaming are available on this page or on the women’s soccer schedule page on GoHofstra.com. Hofstra will close out the road trip with a match at Columbia on Thursday, September 13.